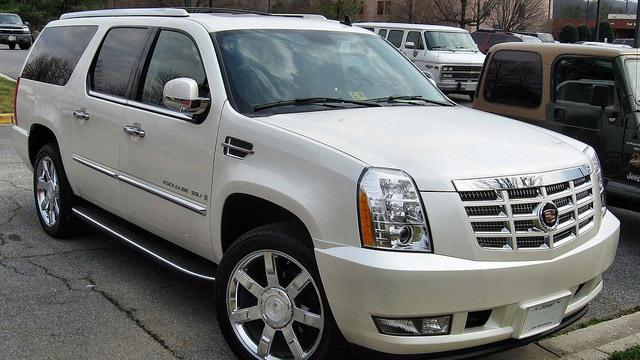 At Eagle Automotive Service in Littleton, CO, we are the trusted choice for Cadillac repairs and services in the area. If you own a Cadillac, keeping your vehicle performing in top condition is a priority in order to maintain a luxurious driving experience. At our Littleton Cadillac auto repair shop, we understand that a top quality vehicle requires a professional auto repair shop to perform both maintenance and repairs on your vehicle. Our shop is staffed with ASE certified technicians that are specially trained and highly experienced to work on all makes and models of Cadillac. Whether your Cadillac is due for scheduled maintenance or needs a repair, we can help. If your vehicle’s check engine light has turned on or you notice a problem while driving, we recommend bringing your vehicle into our shop as soon as possible. Ignoring a small problem now can turn into a larger, more expensive problem over time. Our Cadillac auto repair shop has the latest, state-of-the-art computer diagnostic equipment and technology to accurately diagnose any issues and properly handle your vehicle. We work with you to determine a maintenance schedule for your vehicle that will keep your Cadillac running smoothly for years to come. Our goal is to get you back on the road safely and quickly, all while boosting the overall performance and fuel efficiency of your vehicle. We recommend that your Cadillac receives regular maintenance and inspections to extend the overall life of your vehicle. We take the time to discuss any of our service or repair recommendations with you and determine a service plan that is right for you. If your Cadillac is due for a service or repair, bring your vehicle to our experts at Eagle Automotive Service. We look forward to servicing your vehicle soon!